Worked on the shop screen for buying. Moved some labels around, but still feels a bit cramped. It feels crammed because of so many Zeros! No pun intended. If you could remove a zero from the cost on everything it should look much beter aestethically but don't remove the Zero from the title of the game. instead of Att a Sword icon, Def a Shield Icon, Spd a Boot Icon. BTW the change from numerical month to name of the month was fast, never expect it. Thanks to everyone involved in this! Your suggestions for the stat icons were the same as mine, but in the end, FlashPV went with a sword, a shield, and a running man for the three icons! They're already running in the game now! Ryo, however, will stay spelled out. The ones digit is also used in prices, of course! That store is just near the end of the game, so everything's pricey there. Presumably a 24-bit value. 16 million, 700 thousand-something. You sure do know your values! You're right in the ballpark there! The secret maximum value for cash on hand is: Sixteen million, seven hundred and seventy seven thousand, two hundred and fifteen ryo! Worked on Load menu today, converted date and time, and also incorporated the WIP graphics from @Doug_RPG and FlashPV. The old and new signs for the Fire Bear Shrine. Simple fix to the data initialization screens, for when you don't have the SRAM or RTC files. I think those icons for the shops are pretty good but maybe it would be better to have the images be just black silhouettes. I think the colors are a little distracting and look too different from the original kanji characters (which are just black instead of multi-colored). Also in most JRPGs I've seen the item shop icon is usually a potion bottle instead of a bag and I'm not quite sure what the paper-and-pen icon is suppose to be. Is it a place to save your game? I understand your concern about the signs, however, there are a few shops in the game that have color on the signs in the original game (certain shops used icons, even in the Japanese version), so this isn't as much of a stretch as you might think. The item shop is not a potion bottle because there's a bottle used for a medicine shop in another town. There are a wide variety of shops and icons in the game. The bag indicates that the store sells inventory related items... That includes potions, but also things like charms, robes, etc. The paper and brush is not a save area. That's done in the inns. The paper and brush is actually a place that publishes new articles about what's going on in the nation. Translating the news articles was great... That was one of my favorite parts of the script! Working on it every day... I have to keep pace with the hacking work, which is absolutely RACING right now! I'm really hoping for a 2017 release for this long overdue game. But even so, we're not cutting ANY corners! Worked on the date/time and birthday entry screens, and allow years past 2014. Used the original numerals so the cursor will align properly. You just care about the game, and you want to make sure that it's done right. That's not being negative at all. That's just being concerned about the quality. It's a positive trait to have. This is a team effort, and everybody posting here is a part of the team, in a way. Even if people are just here for moral support during the process, that's all part of what makes this fun for me. I welcome all comments, questions, and feedback people have about things! Especially if they make the final release even better! This has been that one Super Famicom RPG that I have wanted to play for literally years. Since I was a kid in middle school with my 56k modem downloading at 4 kbs. When I first found emulation was a thing man those were the days. First time I got to play Bahamut lagoon, find Final Fantasy V and so on. I am so glad this game is finally being worked on regularly and I wish I knew anything about rom hacking or translation to help but either way I want to thank everybody working on this. Every time I see something new about the project I feel all giddy and nostalgic for the one rpg I fell in love with but had no chance of beating all those years ago due to the language barrier. So far you all have made some great work and I'm excited to see what comes next. 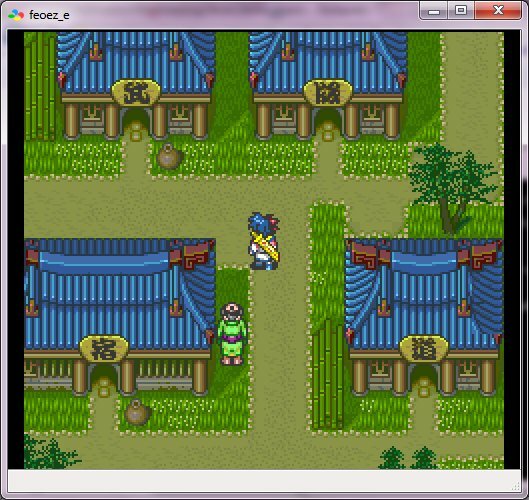 Tengai Makyou Zero and Metal Slader Glory Director's Cut. It is kind of baffling that it wasn't translated for all these years. The script wasn't exactly text-heavy, and everything was well-ordered. I understand that the deal with the graphics packs probably threw a damper on things, but that was ironed out well over a decade ago, wasn't it? It's most likely just that most people have never heard of Tengai Makyou Zero. Ginbunbun, I feel just as giddy as you with every development. I hope the game takes you straight back to middle school, because that's exactly how I feel whenever I play it. Ever since I learned about the series (Which I'll probably always call "Far East of Eden") I've always wanted to play the games in English, especially because I do like satire. There was talk that Vic Ireland, now of Gaijinworks absolutely loved "The Apocalypse" game and was really interested in localizing the PSP remake for western audiences, but I don't think that that will ever become a reality. I also know that people have tried to take a crack at this game, before, but any projects prior would stall, which is very unfortunate due to the acclaim that this one game has. 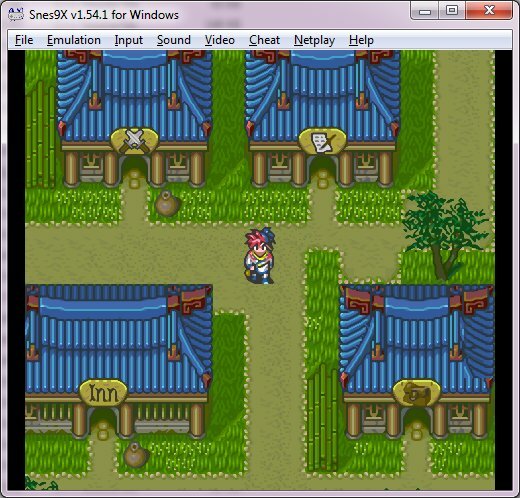 I also think that this may be the only Tengai Makyou game not to see a remake besides maybe Kabuki Klash. The "RPG" is my favorite genre of gaming, especially since I love squeezing out as much dialogue as possible, so it is always great to see a new Super Famicom RPG get the fan translation treatment. Like ginbunbun, I wouldn't mind volunteering for this, but I'm afraid that I would spoil the game for myself, and I am also not technically proficient. I hope to, one day, get on the front-page of this site and see a fully playable translation of this. Merr Man, there's a reason why the game series is not actually called Far East of Eden, and why I hope people will learn and get used to the distinction. (Look on the box of "The Apocalypse," for instance, and you won't find Far East of Eden written anywhere.) That's because it's not based on P.H. Chada's book. The story is that he, the "author" of "Far East of Eden: Ziria" collaborated with the developers to bring his English "book" to Japan in game form, through the Tengai series. Since "The Apocalypse" is not about the history of Jipang, it is not called Far East of Eden. Oriental Blue: Ao no Tengai, is also part of the Tengai series, but does not take place in Jipang, and thus does not feature the name Far East of Eden either. As for "Far East of Eden" games that haven't been remade, there are several... I believe in addition to Zero and Shinden (Kabuki Klash), Tengai Makyou III: Namida (for the PS2) has never been remade. There's also Karakuri Kakutoden, an FMV battler. If you're talking about the whole Tengai series, Oriental Blue: Ao no Tengai also hasn't been remade. Of brief mention are Tengai Makyou Jipang Seven (the browser game), and if we're really stretching it, "Same Game," if that even counts. I never played it. I also have this crazy memory of an iphone exclusive Tengai Makyou game with an original story being released years ago, but I can't find pictures or info about it anywhere... I'm not talking about the Ziria remake for cell phones, but rather another game. Maybe it was just planned and canned? It's a shame that Gaijinworks never got "The Apocalypse" out. I remember when they teased a PSP game a while back, and it turned out to be Summon Night 5. All of the Tengai fans were disappointed. I suppose Konami's in the way of things, since they own the rights to all of the Hudson games, and we know how they are with their IPs. 1. There's one glitchy text window in the Crane Nation. 2. Graphics after the Peacock Nation are unfinished. 3. Almanac has some issues. 4. Script formatting/revision needs more polish. 5. Battle/Strategy menus need work. 6. Credits aren't working yet. 7. Manual/packaging needs to be fully translated. There may be more, but these are the biggest things! Judging by DDStranslation's latest twitter post, the initialization and date entry text is completely finished and set to the American date order and time format! Birthdays beyond 1999 are now fully supported, so any teenagers out there who happen to be interested in playing can still play it as intended... I wonder how many teenagers will actually play this, though? Who knows? But they can, if they want to! This is looking super sharp! I can't wait until this is out. Do you think it would work on a reproduction cart as well?